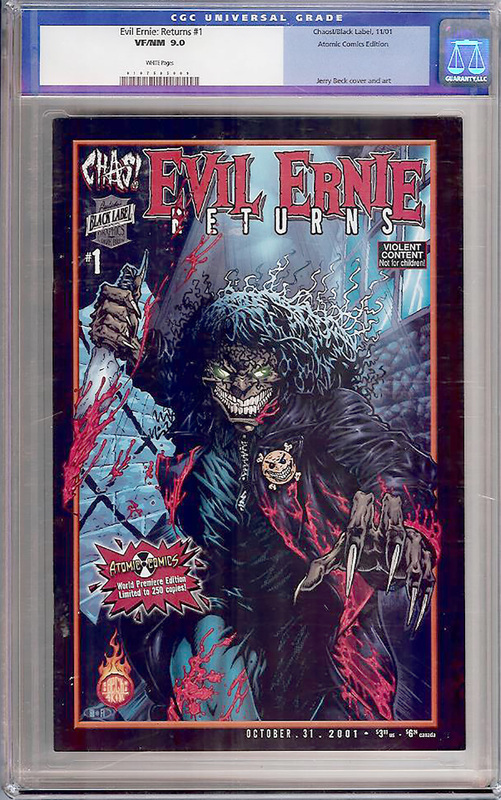 Scarce copy of Atomic Comics Edition: Evil Ernie Returns #1 with only 250 Print run and tough black cover. Low population count of 5 certified by CGC with only 1 9.0 and four graded higher at 9.4. No 9.2s!